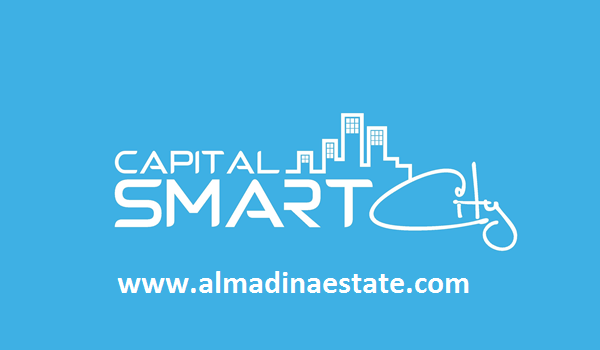 Capital Smart City is one particular real estate development where investors have seen their expectations met. Even more interesting is the expectation that there is no breather expected in demand and transaction volume any time soon. The sentiments are based on some valid reasons, and its appears that existing and potential buyers are also convinced that they will continue to see their investment in Capital Smart City grow during years to come. In the meanwhile, gains seen in the short term are also tempting. The project is located on Lahore-Islamabad Motorway M-2 near Thalian Interchange, while it also touches Chakri Road in the south east. It is highly likely that the society will have one of its entrances on Chakri Road opposite Blue World City. In the meanwhile, the developer is also looking to set up a dedicated interchange on M-2 to arrange for a better and more accessible entry point. Currently, the society is approximately 12 kilometres away from the airport.the developer has submitted an application with the National Highway Authority to construct an interchange on M-2. While more information is still awaited about this, the need for this interchange isn’t urgent as the society is far from becoming livable in the immediate future. The demand is recorded to be the highest for 5-marla plots, for which the inventory has run out. Seeing the high demand for smaller plots, the developer introduced 7-marla and 12-marla plots as well. And that’s not all, as over 70% of the stock stock for 7-marla plots has been sold out, with the remaining running out at a fast rate. Since the project is not yet in the shape to attract end users, most of the active buyers are either short-term investors or those looking to get the bigger piece of pie by waiting for at least a year. In the meanwhile, rates of plots introduced in the old booking continue to increase with significant premiums added to the original rates. The answer to this lies in the fact that the developer has been smartly launching its products in the pre-launch phase, while it continued to increase its authorised agents at the same time. So far, over 22 agents have gotten on board as authorised dealers for Capital Smart City and more are on the road to it. Our sources have revealed that most of these agents got on board during the second quarter of the year. That was also when the demand started to pick up at a more noticeable rate. Well, the biggest reason why so many buyers and agents are excited to stay updated about the project is that its official launch looms close. The developer is looking at the possible dates that could be most suited to increasing the buyers’ engagement. Our sources believe that it could be before Eid-ul-Adha or shortly after it. The final date in this regard will soon be shared with the authorised agents and as soon as we get our hands on the information.